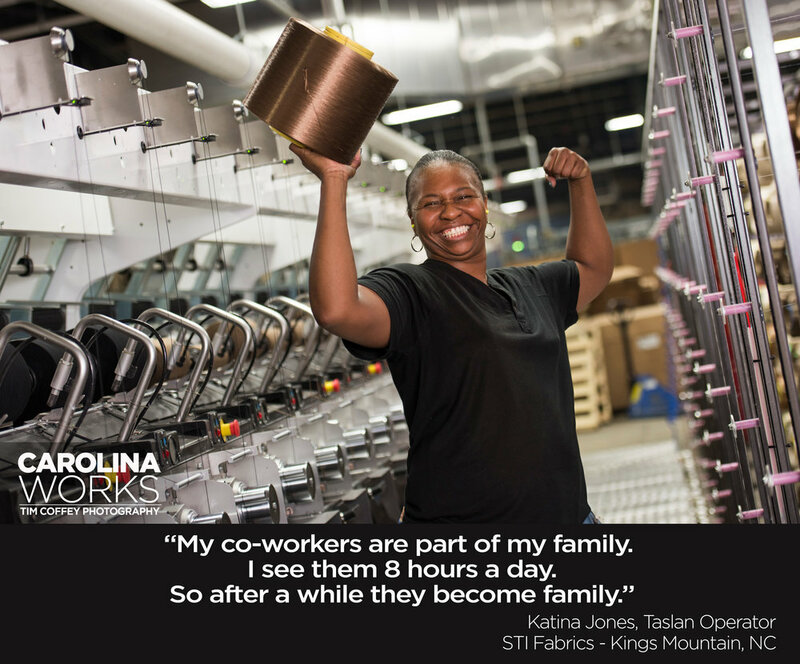 STI was recently contacted by local photographer, Tim Coffey, about participating in a photography project that celebrates North Carolina manufacturers. The project, called Carolina Works, features photos of the "people behind the product", because without them, there wouldn't be a product! 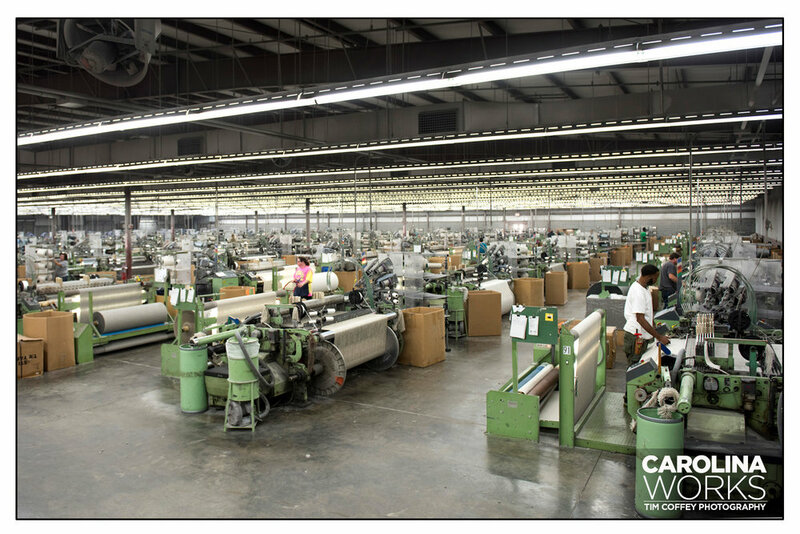 Carolina Works is not limited to textile or furniture makers; the project features companies that make car parts, bottled water, decorative laminates, salad dressing and pickles... just to name a few! Manufacturing is a rich part of the Tarheel state's history and we are proud to be a part of it. Check out the photos below of our awesome STI employees that participated in the Carolina Works project. To learn more about Carolina Works and to view the full gallery of featured North Carolina manufacturers, visit their page: www.northcarolinaworks.blogspot.com or click here.